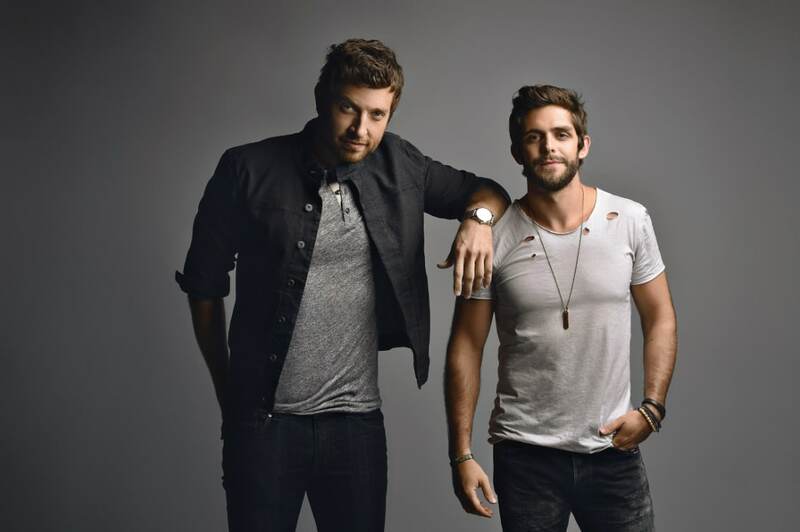 Are Thomas Rhett and Brett Eldredge Working on a Duet? If the social media signs are pointing the way it seems, we may soon have a Brett Eldredge and Thomas Rhett duet on our hands. The boys are already pairing up for CMT On Tour: Suits & Boots this fall and have a full on bromance happening, so it only makes sense for the pair to record a duet. Interestingly enough, both ended their tweets with “Can’t wait for y’all to hear it” and photos of them standing near a similar red curtain. Been livin in the studio for 2 days to finish the "Illinois" album! I can't wait for Yall to hear it!? Danielle Bradbery hangs with a cool crowd…. Brett Eldredge Gets Lucky Number 3 With This Song…. Do you like Danielle Bradbery’s new ink? Is Brett Eldredge dating his “Lose My Mind” video co-star?